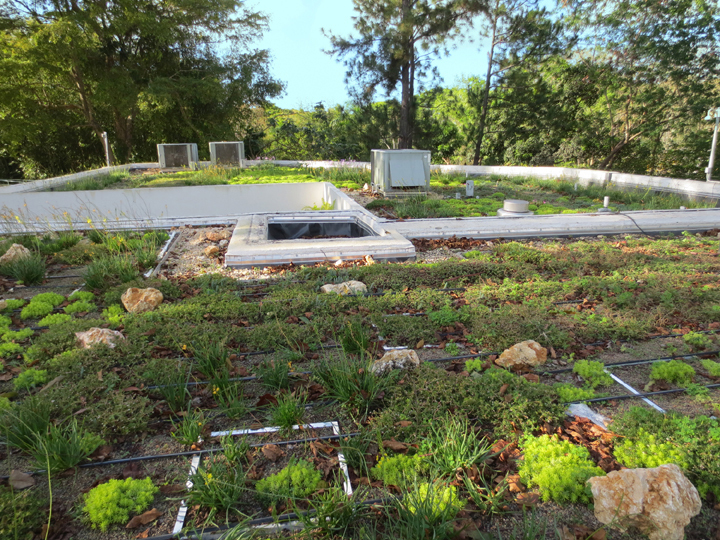 The second phase of the IITF Headquarters Reform included remodeling of site facilities, and design of green roofs and rainwater harvesting for accessory buildings. 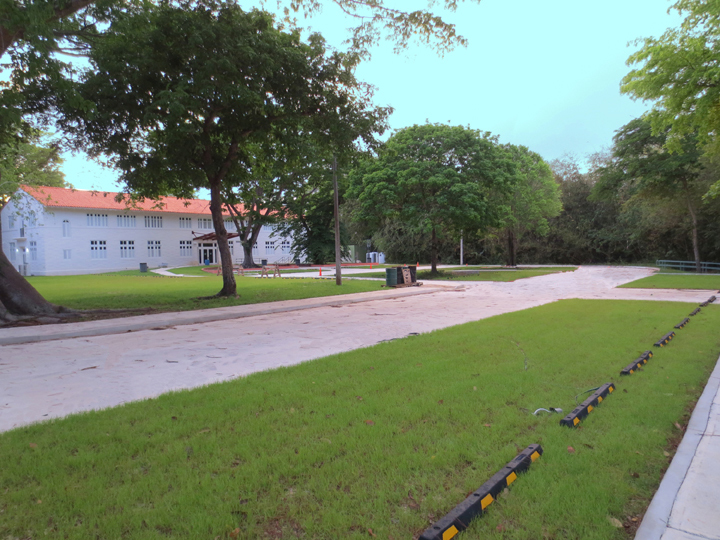 The site work included replacement of asphalt parking with green pavement, that would provide pervious surface for water to filter into terrain and reduce heat island effect. 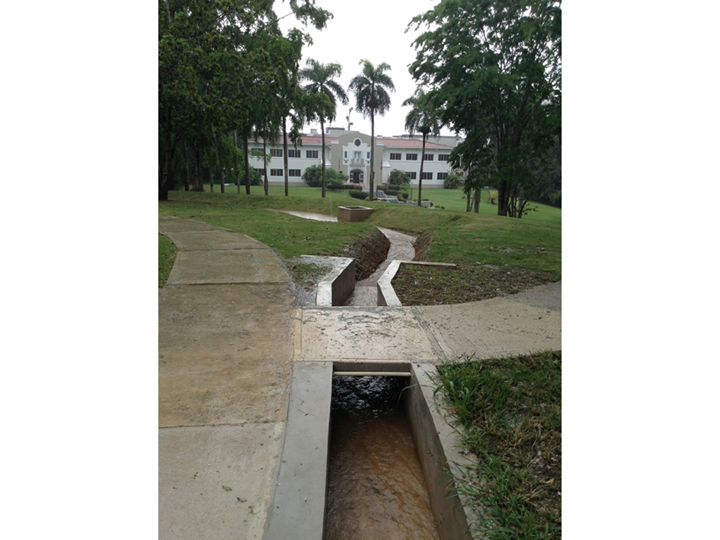 Nevertheless, because terrain was found to have poor drainage capacity, it was also necessary to design a system of swales and detention ponds that would allow water to filtrate naturally with little or no runoff.